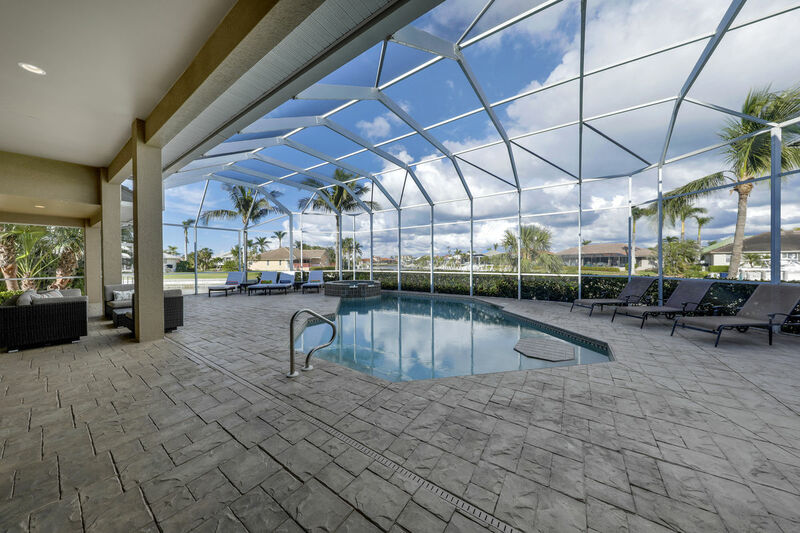 Looking for a large pool home with plenty of room to relax and entertain friends and family on Marco Island? This is the one! 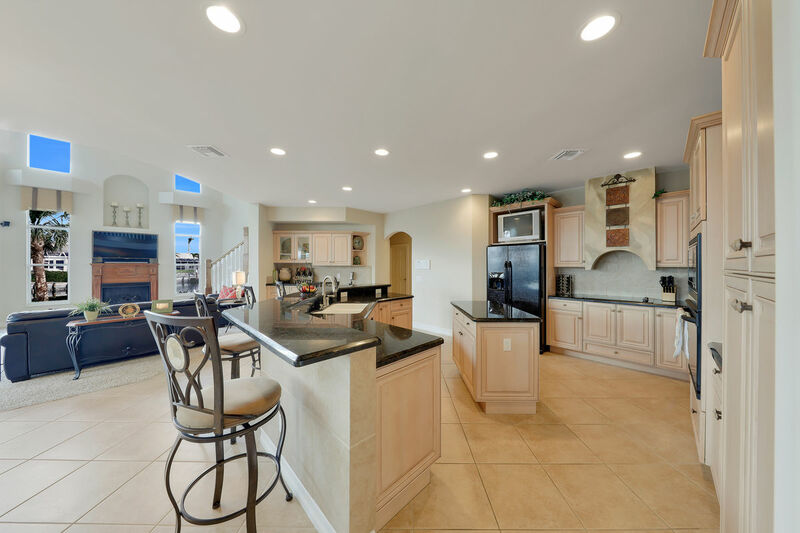 Relax and enjoy this beautiful 2 story home offering 4 Bedrooms, 2 full bathrooms and 2 half bathrooms. Unwind by the pool or in the spa overlooking the canal. 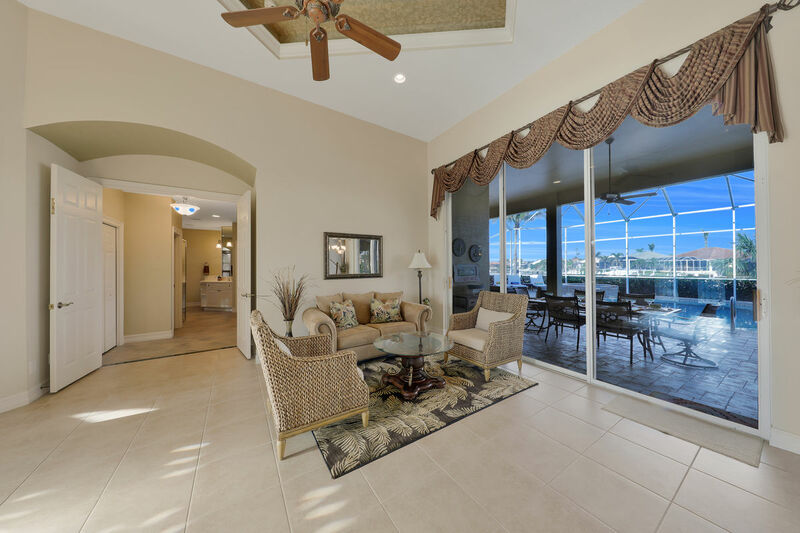 The house offers you over 3,300 sq ft of living area, 1,145 sq ft of which make up the spacious lanai, and 330 ft of water front with magnificent wide water view in three different directions. Great sun exposure from the North to the Southeast offers you sun for almost the whole day. 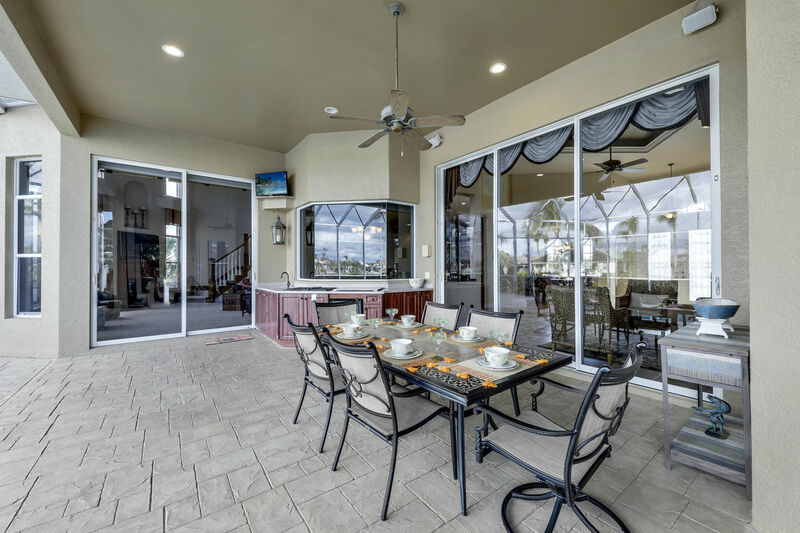 The outside spacious lanai offers an outdoor kitchen with an electric grill for entertaining your family and friends and a pool bath with an outdoor shower. 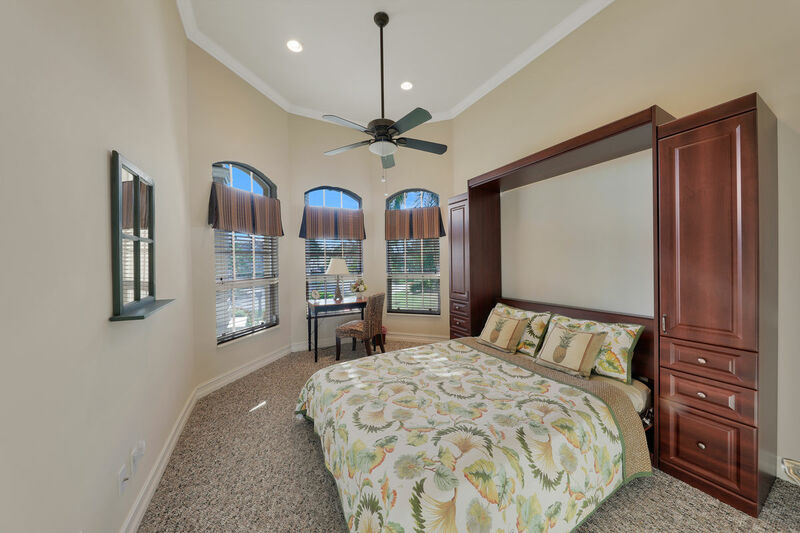 Inside this beautiful home on the first floor you can find the master bedroom with a king size bed and private master bathroom. The second bedroom/ office has a queen size bed. 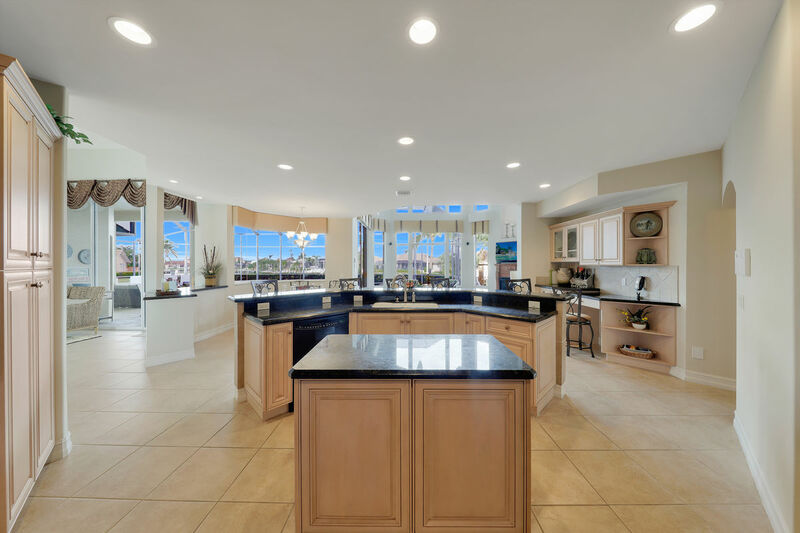 Part of the first floor is the kitchen, right beside breakfast area with view of the pool. 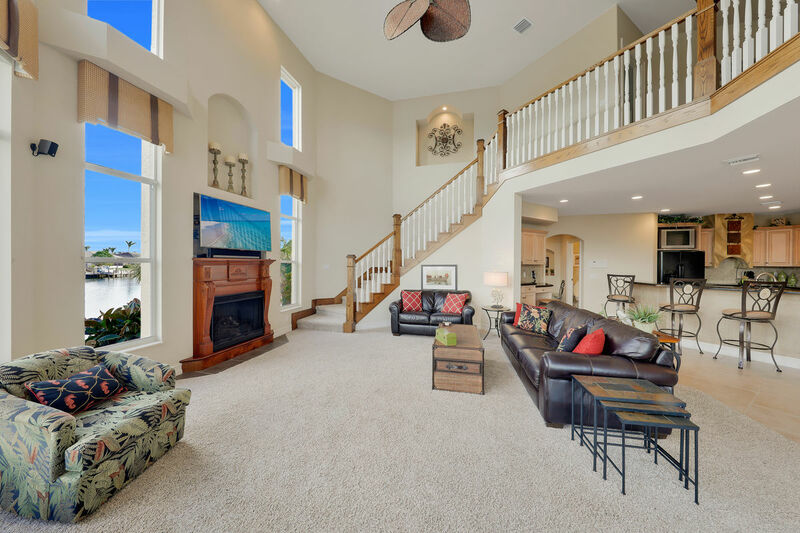 The home features a comfortable sitting area at the entrance as well as a separate living room and dining room. 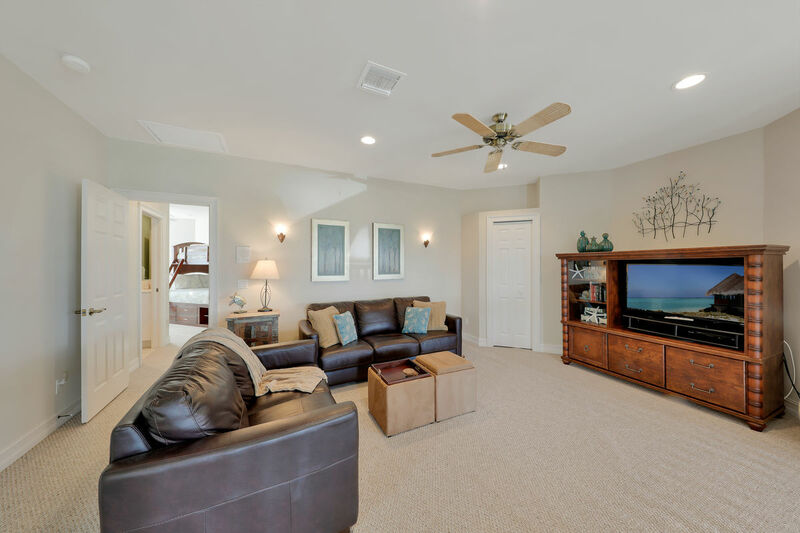 The living room with a big flat TV, entertainment system and comfortable sitting area opens to the second floor. The second floor offers you an additional living area to relax and enjoy quality time with the loved ones. 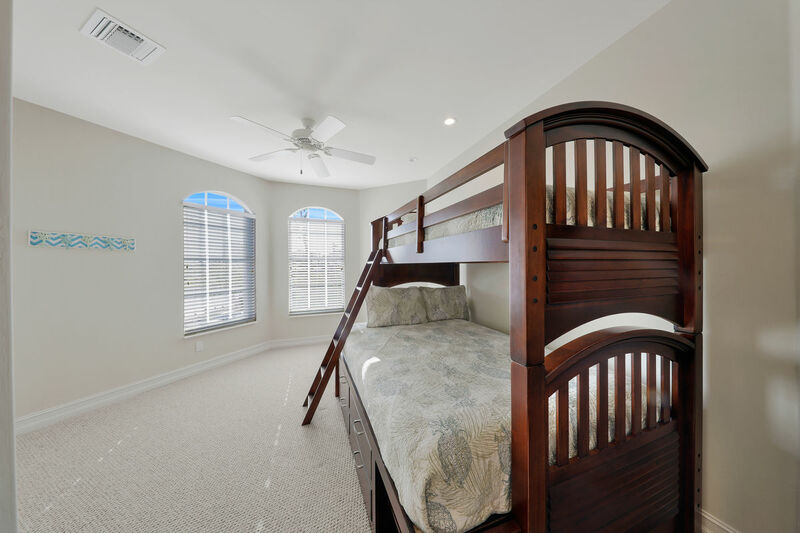 Although located on this floor you will find the third bedroom with a queen size bed and, the fourth bedroom comes with a twin over full bunk bed great for the kids. 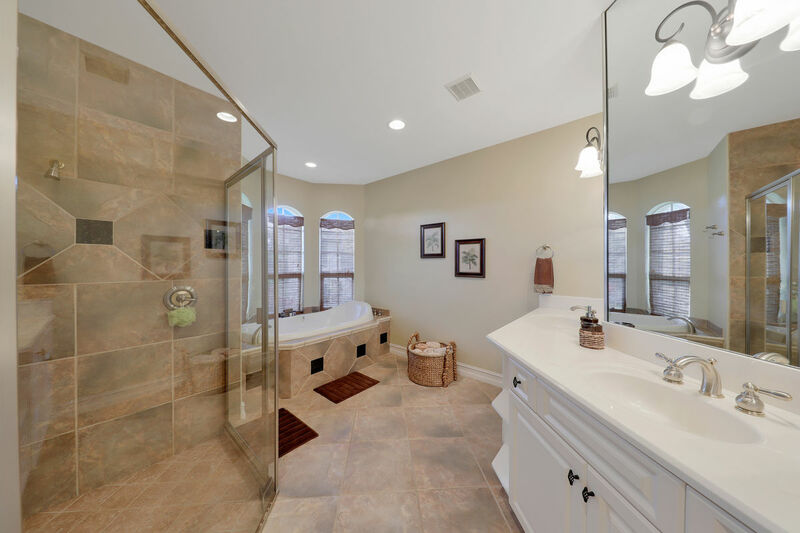 Both bedrooms share a jack & jill bathroom with two separate sinks. Only 5 minutes by car to the Tigertail Beach and approximately 20 minutes walk to the public beach entrance close to the residents beach. 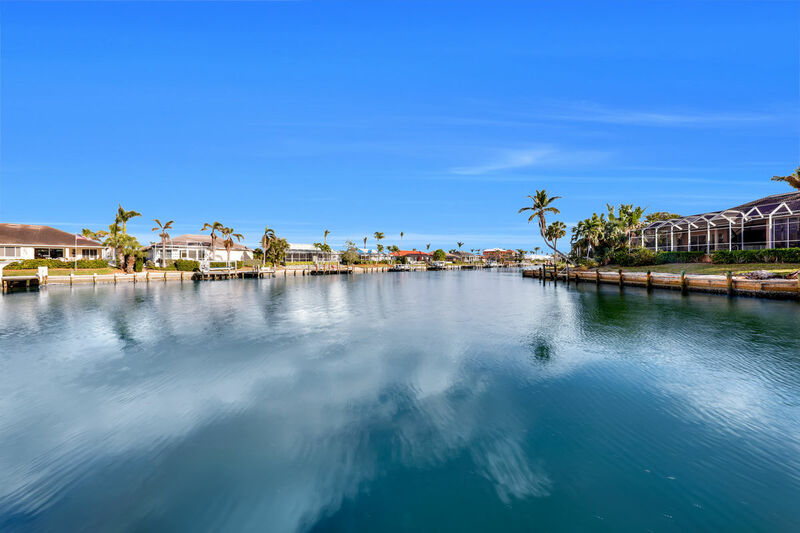 Marco Island is graced with miles of white-sand beaches, luxurious real estate, beautiful year-round weather, sumptuous restaurants, fine shopping, dining, lively entertainment, attractions and plenty of recreational activities from boating and fishing, to golf and tennis, and more. 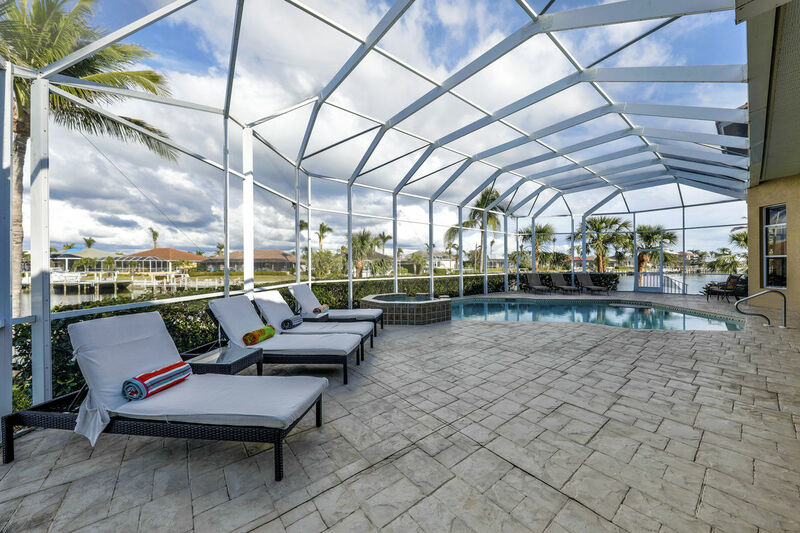 All set amid the stunning subtropical beauty that is unique to Southwest Florida`s Gulf coast. 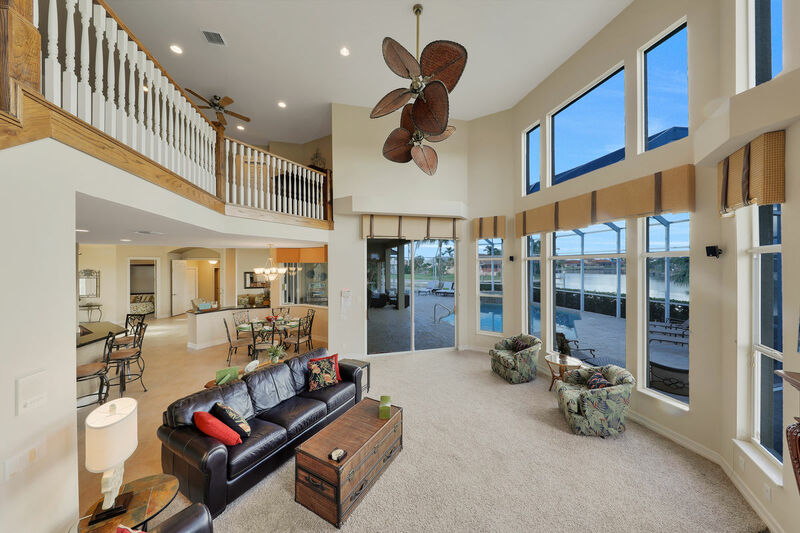 The house at 816 Dove has everything you could possibly want or need for a vacation in Florida! We were so pleased when we arrived with how clean and new everything was. It was beautifully decorated and in a central location to restaurants and activities. It has bikes, umbrellas, chairs, dish soap, laundry soap, extra pillows and blankies... everything! 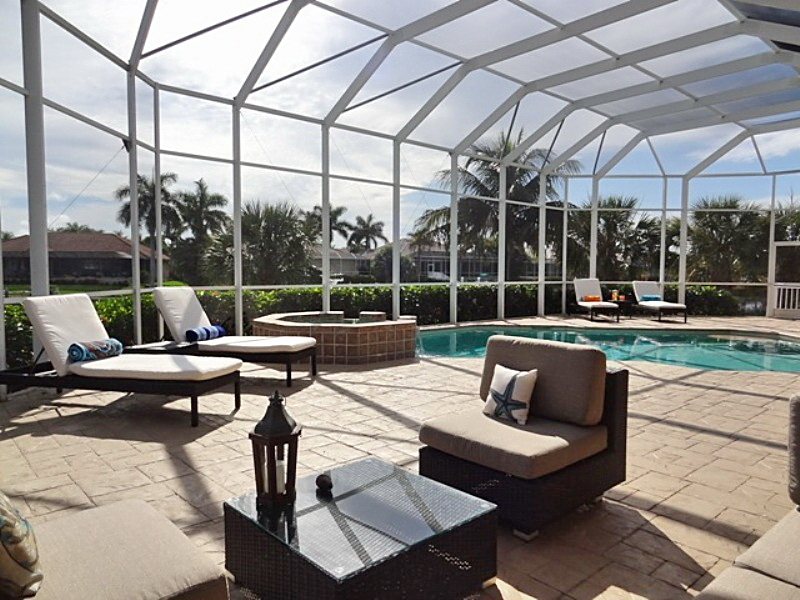 The pool is beautiful with a large entertaining area around it and a great view of the water. The dock on the water was spacious and clean and was wonderful for our nightly fishing. It really is a great price for all you get. When we return to Marco, we will definitely stay here again! 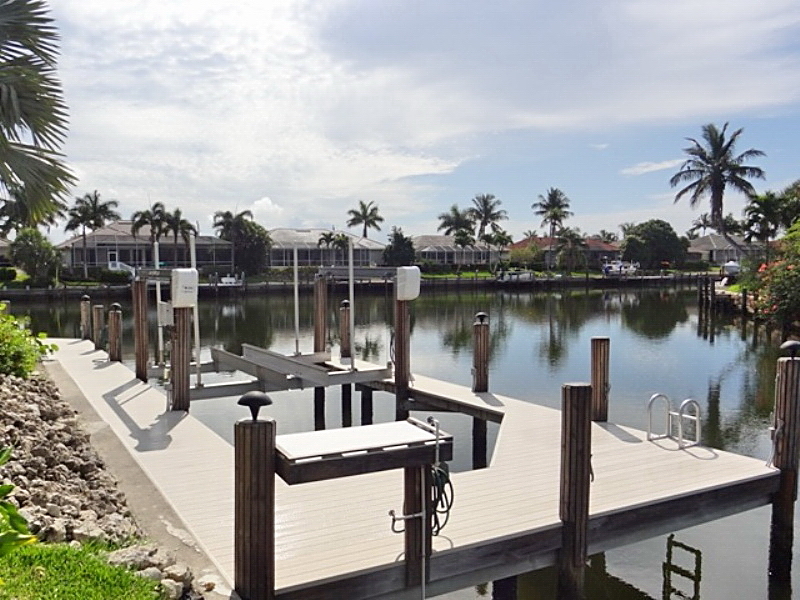 Great location close to everything on Marco Island. 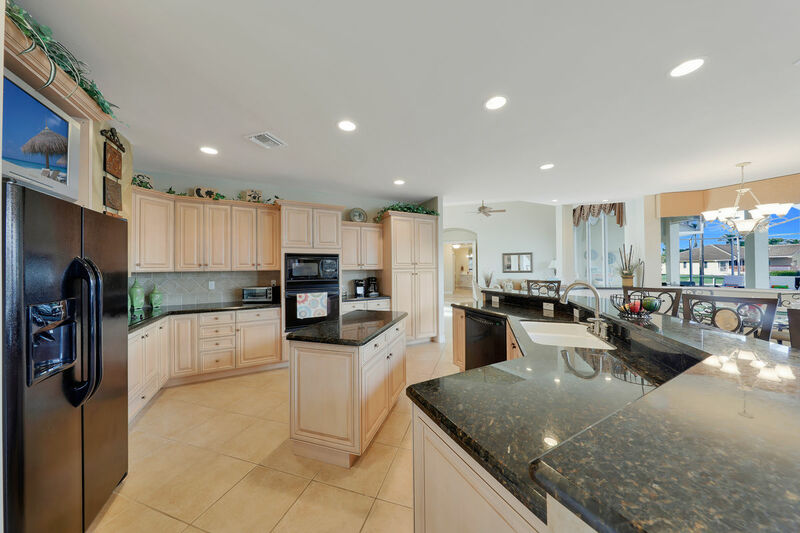 Home is at the end of a quiet culdesac on a point lot. Inside the home there are incredible views from all sides. Furnishing are in very good condition. The pool is absolutely fantastic. We had 4 adults and 3 children in the house and fit comfortably. We cannot wait to go back! Peaceful , Relaxing and Beautiful ! The home is just gorgeous and very clean . Just loved the outdoor pool area ! It is great for relaxing and enjoying the outdoor fresh air. Loved walking down the the dock in the AM with my coffee and looking at the water and boats. 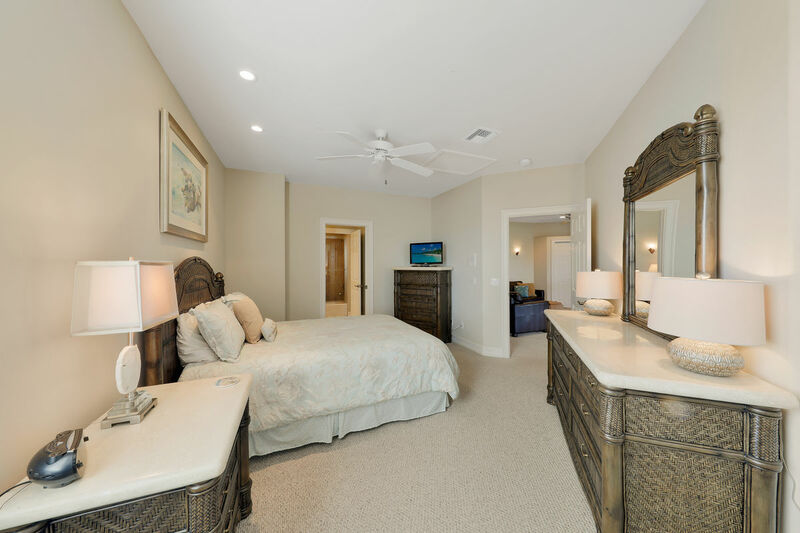 The house is very clean with comfortable beds and relaxing cozy living area. Great location to great restaurants too ! I would highly recommend this home ! Beautiful home - Great getaway!! Most beautiful and relaxing home and a great location. Nothing better than sipping morning coffee by the water. The house provided so many amenties to make the stay more enjoyable. Beautiful decor - a great getaway. Can't wait to book it again! Spent some quality time with friends at this beautiful home on the canal. The house was tastefully furnished and comfortable. The pool area has spectacular views of the canal. We spent a lot of time either by the pool or on the dock enjoying our morning coffee. Enjoyed local restaurants within walking distance. Doreen's cup of Joe is a great breakfast place just around the corner. I look forward to visiting this home again in the near future! 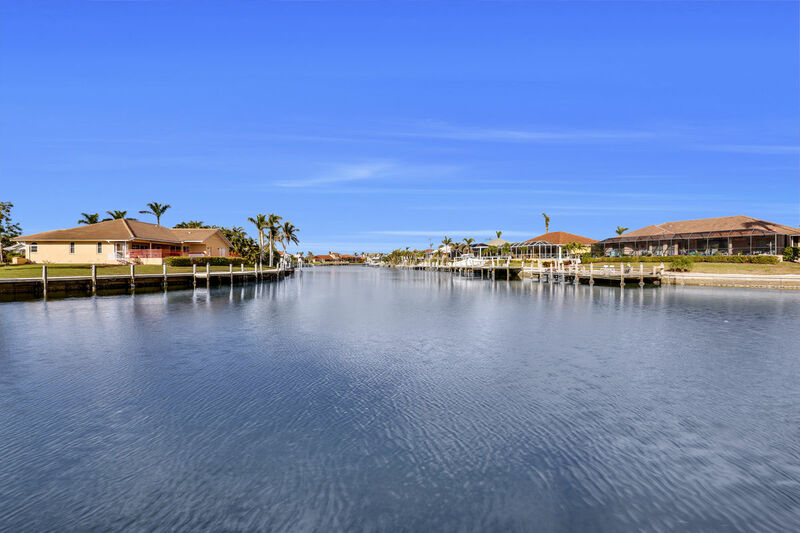 Love this Marco Island location. Beautiful home with all amenities a family could want. Pool, spa, dock for sun bathing and fishing. Owner supplied fishing poles, beach equipment, bikes and more!!! Rooms setup well and everything in house was very nice. Service from support company was great. Timely callbacks and quick responses. Would recommend a regular grill gas grill with larger surface versus the electric one :) Overall, loved it!! This house is super clean and has so many options for our family. The pool and hot tub area was the gathering place day and night. The dock is super nice for fishing (poles included). The bikes in the garage were great for a ride to Publix. You can walk from the house to many restaurants, most notably breakfast at Doreens Cup of Joe is highly recommended and less than 2 blocks. 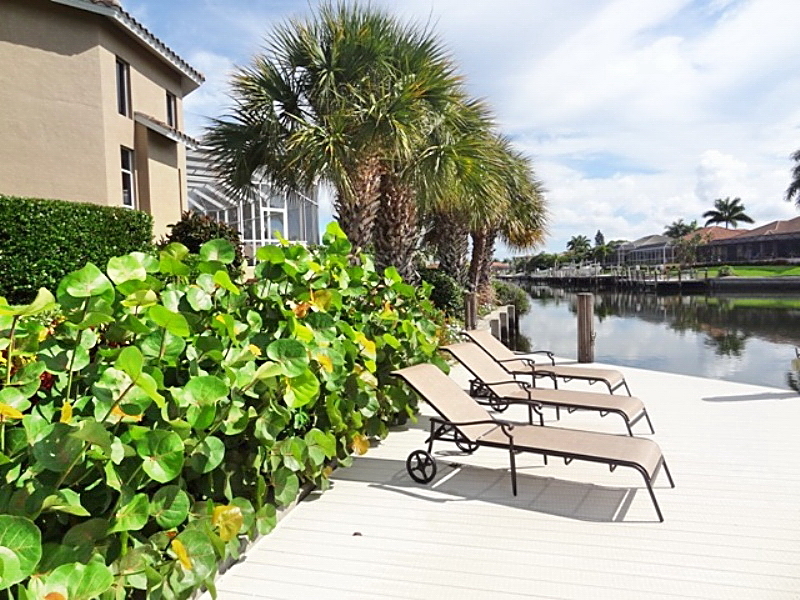 Short walk to the beach, short ride to all of Marco Island restaurants. When we come back to Marco we will most definitely stay here again. Not a single negative thing. Perfect family home while enjoying the area. Organized, clean , all required items present, furnishings in excellent shape. Our extended family enjoyed the lanai and pool area every day and took advantage of the bikes provided and all the wonderful pool toys. The views of the canal were serene and the little ones loved watching boats go by. Being from a big city, we enjoyed looking at the stars from the deck every night. 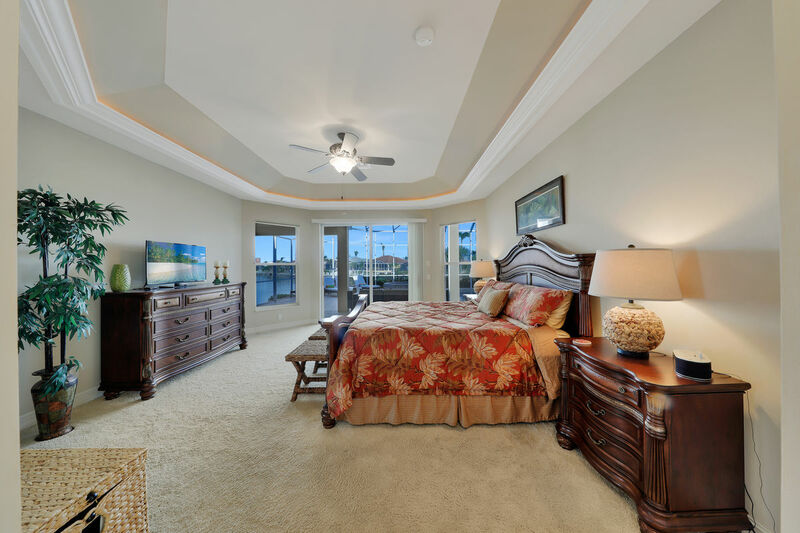 Our only issue was that the 4th bedroom was really an office with a Murphy bed, which wasn’t made clear. 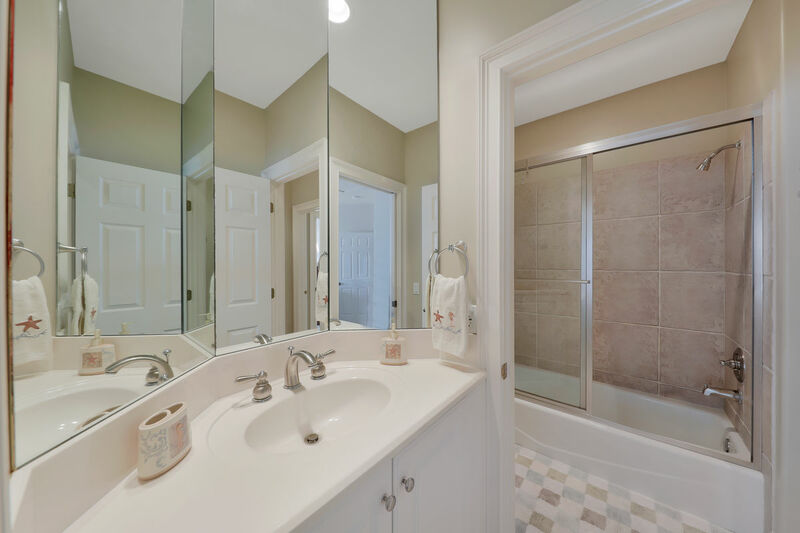 While it wasn’t ideal to have just 2 bathrooms for 8 people, we all loved having the powder room off the lanai—have never seen this and loved it! 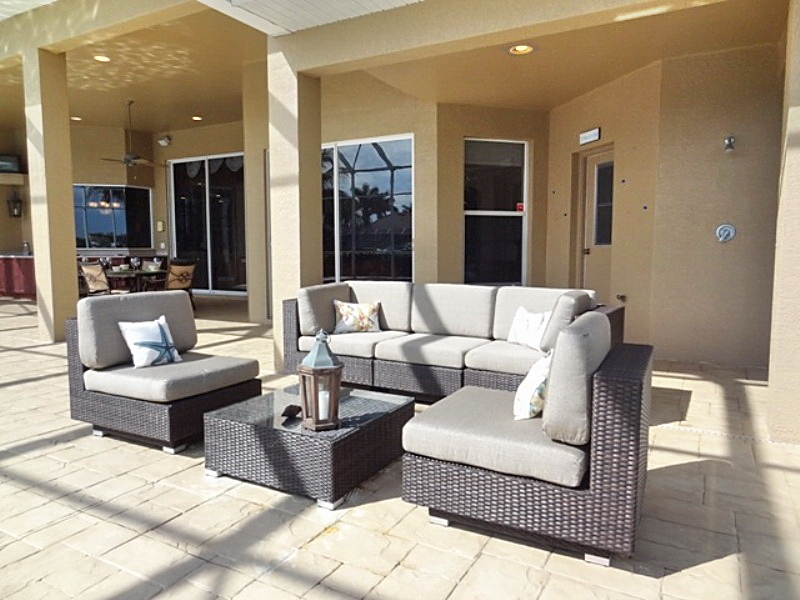 Also loved all the seating on the huge lanai. 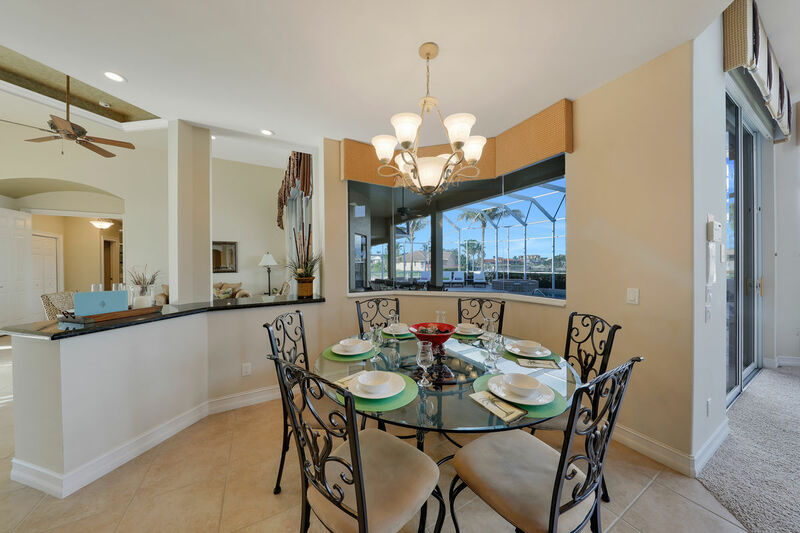 Location was good—close to grocery stores and 1.25 miles to the beach.